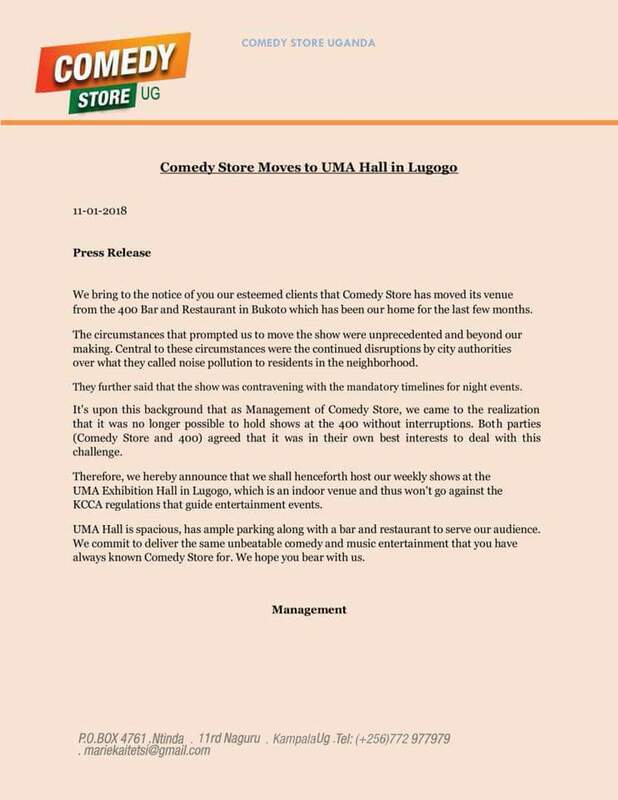 Comedy Store, a weekly comedy show that has been hosted at 400 bar and restaurant in Bukoto, is moving to a new venue. According to a statement released by Alex Muhangi, the brains behind the show, they are now moving to UMA Hall Lugogo. Meanwhile, word on the street has it that 400 bar was sold off and the new management refused to pocket Alex Muhangi’s monthly rent of 6M to host his weekly shows. Finally he settled for UMA.